About thirty Islamophobes convened in Lansing, MI to protest “Sharia Law” in a multi-city action organized by ACT for America on Saturday, June 10th. According to the Southern Poverty Law Center, ACT for America is the largest anti-Muslim hate group in the country and just like many other cities, a massive counter-protest was organized by several different anti-fascist and anti-racist groups to stand up to their hate. The counter-protestors who showed up considered their action a complete victory. They easily outnumbered the Islamophobes by four to one, remained peaceful, and were able to keep the protestors from fulfilling their main objective of marching through a local Muslim neighborhood. Along with Redneck Revolt, the other counter-protest organizers decided it would be for the best for them to not bring arms to this protest, but they did come out on the front lines and introduced themselves to several members of the Michigan Militia before the rest of the counter-protest showed up in block formation to oppose them. According to Timothy Grey, they introduced themselves to a few guys in the Michigan Militia and both sides agreed that they wanted the day to go peacefully. As Timothy explained, they knew that a lot of these guys were old vets and that they would be more likely to uphold this promise on the honor system if it was established ahead of time. Prior to that Timothy and the rest of Redneck Revolt had been involved in providing the counter-protestors with the intel they needed to determine which groups had shown up and exactly where they finally decided to convene, which was a half a mile away from the Muslim neighborhood they were originally targeting. The Michigan Militia was there, along with the Proud Boys, some older people who’ve watched too much Fox news, and a few Trump frat-boys. The counter-protest arrived with chants of “No Trump! No KKK! No fascist USA!” and “No Hate! No Fear! Muslims Are Welcome Here.” They kept their chants going for about two hours as police barricaded the two sides from each other. During all of this though, activists from Solidarity & Defense broke into the “Anti-Sharia” side and began passing out pamphlets to people, letting them know that there was a verifiable neo-Nazi amongst their ranks. He was with the Proud Boys crowd, which should be noted were not particularly proud, because several of them chose to cover their faces while they attempted to sling incoherent insults to counter-protestors. Once the Michigan Militia got word that the neo-Nazi was trying to pass out literature of his own and had an obviously anti-Semitic sign he was planning to pull out, they made him put it all away. Despite their racist fears of “Sharia Law,” they had decided that blatant Nazism was just taking it too far. Timothy Grey and the other guys from Redneck Revolt then began a conversation with some of the militia members. Timothy asked them “You guys are veterans right?” and then looked at each of them sizing them up by age: ” You were in Desert Storm, you were in Vietnam, and you were in Korea right? The people a generation before you gave their lives to defend the people you are now defending on U.S. soil,” referring to the soldiers who fought on the Western front during WWII against the Nazis. After that the militia members began to defend themselves by expressing their concerns about “Sharia Law.” Timothy and his friends challenged them to find a real bill where this was actually proposed. He told them they were fighting a specter, something that didn’t exist. One of them told him that this was a “Christian nation” and they refuted that you had to support everyone’s right to freedom of religion. Then to everyone’s surprise the cop who was standing near them agreed and said this country had freedom of religion. The militia men had expected full police support. As the counter-protest decided to pick up and march back to the front of the Muslim neighborhood they were trying to protect, Michigan Militia man Chas Brothers crossed the police barricade and said “Sir I need to talk to you,” to Timothy. Timothy walked back over to him and Chas said “I want you to know that my grandparents, aunts, and uncles were in Dachau. Only two out of my seven aunts survived.” He told him how one of his aunts was the meanest person, but he knew it was because of her horrible experiences in a concentration camp. Finally Chas, who Timothy described as a Vietnam Vet in his 70’s said, “You really started me thinking today. Thank you for coming out here and sticking up for my grandparents.” Then he teared up and asked if it would be alright to give Timothy a hug and that is how the Lansing State Journal captured a really powerful moment that never got fully explained. Afterwards Timothy reflected to his friends in Redneck Revolt that although the idea of counter-recruting is part of their mission “I have to say I underestimated the power of counter-recruiting.” This exchange showed that there are many ways to connect with people and reach across the divide to counter hate and increase better understanding. Timothy, who works as a filmmaker, said he got involved with Redneck Revolt this past year. He had previously been involved in anti-racist organizing over the years and had most recently worked on helping change Traverse City’s Columbus Day to Indigenous People’s Day. He said that he was inspired by their success to see what else he could do and had a friend who suggested Redneck Revolt. Their chapter currently has 12 members and is still growing. This is a group that is trying to find a way to connect with other disenfranchised working class people and help them learn that their real oppressors are not immigrants, people with different ethnicities, or different religions all without the typical academic rhetoric. Timothy says that if you would like to find a Redneck Revolt chapter near you check out redneckrevolt.org. If there isn’t a chapter within an hour of you, you can apply to start a new chapter yourself. You might have thought that a full scale uprising and millions in damage, a canceled book contract, being exiled from Breitbart, and losing all political cache he had would be enough to shove Milo Yiannopoulos from view. You would be wrong. The power of privilege, of doing what you want even though others do not provide you a platform, has proven too attractive for Milo. He is now planning to force his way back onto Berkeley, even though his tour was ended there just a couple of months ago. On a recent Facebook post, Milo announced that he not only was going to return to Berkeley, he was going to stay for at least a week (possibly a month). In light of recent controversies, I am planning a huge multi-day event called MILO’S FREE SPEECH WEEK in Berkeley later this year. We will hold talks and rallies and throw massive parties, all in the name of free expression and the First Amendment. All will be welcome, regardless of political affiliation. Free speech has never been more under threat in America — especially at the supposed home of the free speech movement. I will bring activists, writers, artists, politicians, YouTubers, veterans and drag queens from across the ideological spectrum to lecture, march, and party. MILO’S FREE SPEECH WEEK will include events on the UC Berkeley campus. We will stand united against the “progressive” Left. We will loudly reject the venomous hectoring and moral hypocrisy of social justice warriors. Free speech belongs to everyone — not just the spoilt brats of the academy. During MILO’S FREE SPEECH WEEK, we will give out a new free speech prize — the Mario Savio Award — to the person we believe has done most to protect free expression at UC Berkeley and its surrounding area. Each day will be dedicated to a different enemy of free speech, including feminism, Black Lives Matter and Islam. If UC Berkeley does not actively assist us in the planning and execution of this event, we will extend festivities to an entire month. We will establish a tent city on Sproul Plaza protesting the university’s total dereliction of its duty and encourage students at other universities to follow suit. I intend to return Berkeley to its rightful place as the home of free speech — whether university administrators and violent far-left antifa thugs like it or not. The phrasing of it as “free speech week” is brilliant marketing, but nothing is further from the truth. Milo was denied a platform at Berkeley because it was an opportunity to recruit for far-right projects like Identity Europa and he was planning on doxxing trans and undocumented students from the podium. Their events are not about speech, they are about organizing, and the movements to defend against them are not cutting off their speech, they are simply not granting them free rein of their campus. Milo’s decision comes after Anne Coulter was recently banned from speaking at Berkeley, a decision made after the administration saw what happened when Lauren Southern and her Alt Right cadre decided to hold their anti-immigrant, racialist rally in Berkeley and then proceed to attack students and counter-protesters. What is great about Milo in this situation is that most of his right wing and Alt Right friends have abandoned him, and his profile is so high in anti-fascist circles that even a brief appearance will get shut down quickly. That is, of course, only if an organized response happens, which, in Berkeley, is assured. He is now promoting an event on May 5th, one that we should be watching for in Berkeley. Is it a surprise that the Center for Immigration Studies, an openly anti-Muslim and anti-immigrant group, is associating with the fringe of the white nationalist movement? While the rhetoric around immigration restriction has become commonplace in the backchannels of the Donald Trump campaign and ultra-conservative louspeakers like Breitbart, it is easy to forget that this is a movement that does not have a left, right, and center. Directly from the start it has been dominated by far-right ideas, with publications like VDare standing directly with the white separatist camp that simply uses Republican talking points to broaden the support for blocking foreign immigrants. While it is a movement that has been centered on the far-right since the 1980s, it has used crossover points into the mainstream GOP to continue to save face. Paleoconservatism and Libertarianism of the late-80s was this melting point where people like Pat Buchanan, Sam Francis, and, later, Peter Brimelow, were able to work on anti-immigrant narratives that coded language incredibly cleanly. These were the crossover individuals that themselves were acceptable both in radical right circles and establishment beltway boardrooms. It is not uncommon to see someone like Brimelow with the Center for Immigration Studies, but they have now taken it a step further. In recent reports from places like the Southern Poverty Law Center, it looks like cozying up to the upfront wing of the racialist movement. Their “Immigration Opinions” volume was written by British nationalist Paul Weston, known for his association with the British Freedom Party and the neo-fascist English Defense League. Earlier in September, this section was written by Pat Buchanan(the obvious crossover) and Robert Weissberg, of American Renaissance fame. 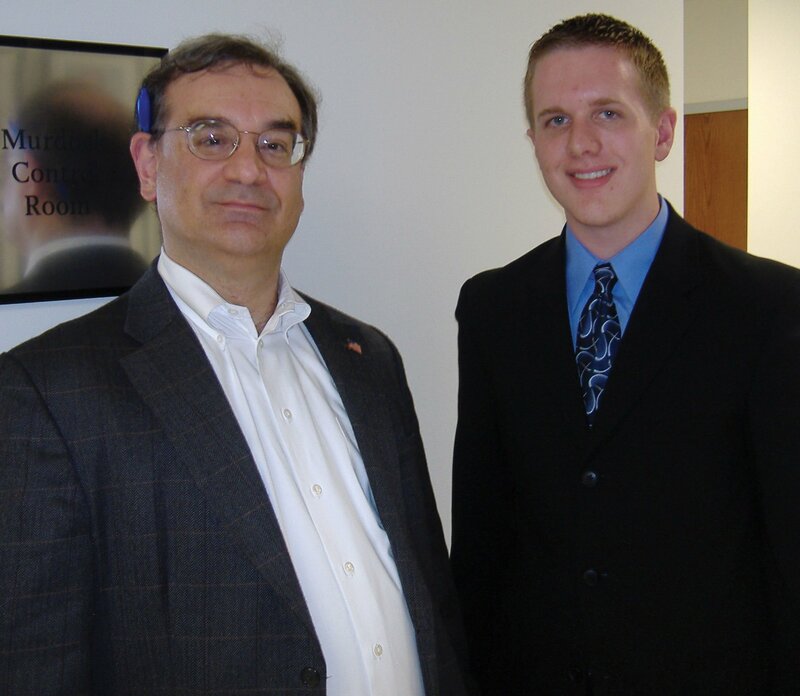 All of these covered the traditional range of xenophobic topics, including the “third world invasion” and the “Muslim problem.” The director of the Center for Immigration Studies, took this all a step further, and was pictured with militant white nationalist Kyle Bristow, who is as “out of the Nazi closet” as you get. This example, though not unexpected, should serve as an example of what the immigration debate has been hinged on. There has been a lot of “acceptable” faces in this conversation, but this has only appeared this way in as much as they are able to code the language in Dog Whistle jargon. The foundations of the anti-immigration position, its hard ideas and arguments, were developed and curated on the radical right. Behind every seemingly moderate proposal at restriction or control is a foundational argument that the U.S. is a white nation that must be preserved as such. When presented clearly people are able to confront the racial ideas that are scapegoating racial and religious minorities, and it is positive when we can see the dividing line clearly. Continuing to share Vice Magazine’s documentary coverage of European fascist/anti-fascist clashes, we are sharing their video on the violence that occurred at the Music Day festival in London. The party Zjednoczeni Emigranci Londyn (Emigrants United London), which is a Polish ultra-nationalist organization, began attacking the crowd at Music Day because of their multiracial nature. Though they only had a small handful of participants(20 or so neo-fascists), this is a part of the new trend towards racist street action where the rhetoric is specifically targeted at non-white European immigrants.